The skip is on your property for up to 2 days. Includes the 1 Drop and Collect. Due to the fuel price increase, we have no option but to increase the skip hire for the Henley on Klip and Randvaal area and beyond to R550.00. 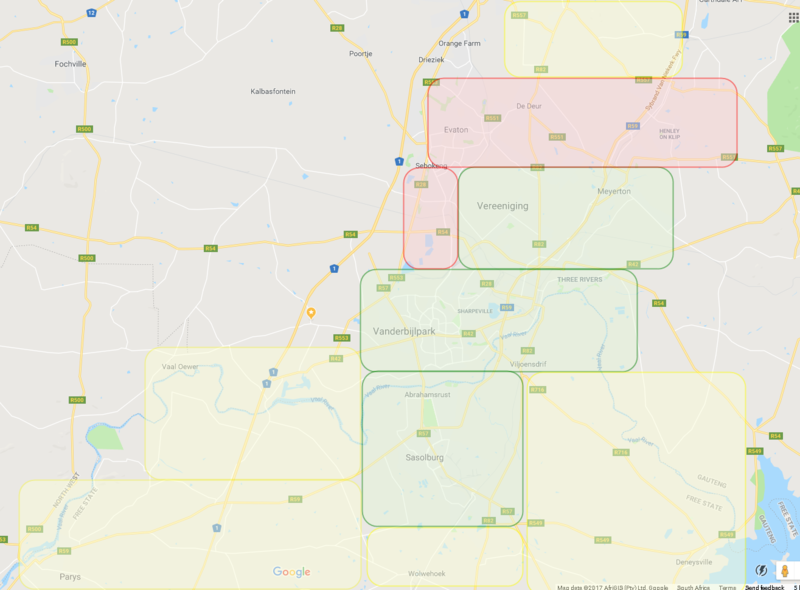 Due to the fuel price increase, we have no option but to increase the skip hire for the Henley on Klip and Randvaal area and beyond to R570.00. N.B! No collections on Sunday. The skip is on your property for the midweek. A drop of Monday, Collect Friday. Due to a fuel price increase, we have no option but to increase the skip hire for the Henley on Klip and Randvaal area and beyond to R650.00. The skip is on your property for the whole week. Example: Drop off Monday, Collect following Monday. The skip is on your property for the whole month. Up to 4 Collections included per month. The skip is on your property for 6, 12 or 24 months. Up to 4 Drop and Collect included in the price.